I had such a great time with the first 4-class series of painting classes and apparently the students did too. They asked for another series, so Thursday, August 5, launches the second series. Teaching has perked up my senses causing me to concentrate more on the how and why of painting and then figure out how to put it all into words. I think I am getting as much out of the classes as the students are! If you are interested in joining a class give me a call or email. 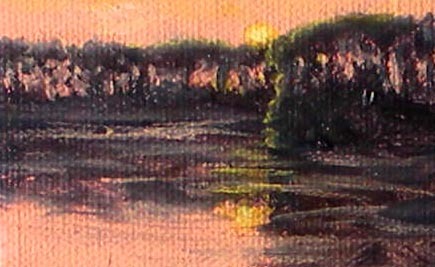 "Evening Magic" is a 2"x3" miniature oil painting on Gallery Wrapped Canvas. This tiny painting was inspired by a kayak trip up the Silver River. 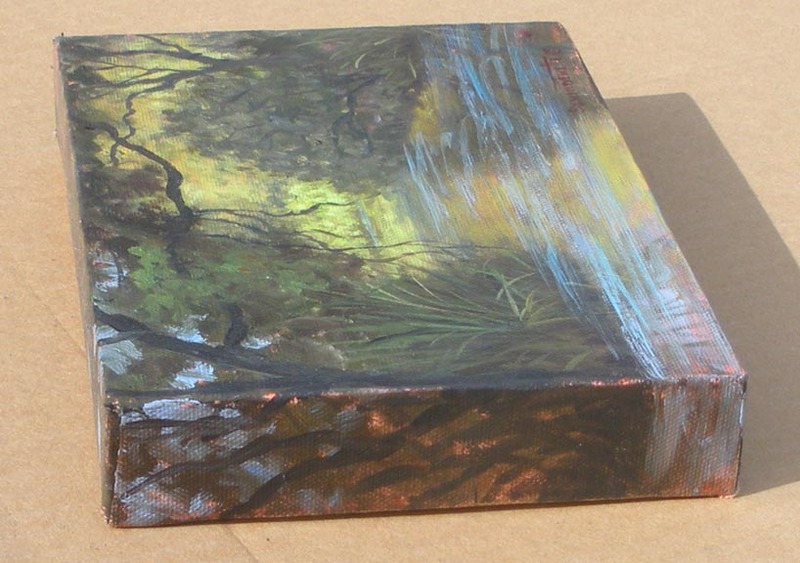 This painting is designed for display on a table easel. Email your bids to me or post here. You will be contacted to confirm you as the highest bidder or to let you know you have been out bid. Bids may be offered until 5 pm EST, Monday August 2. "Winding River" , 6"x8" is painted in oil on gallery wrapped canvas. 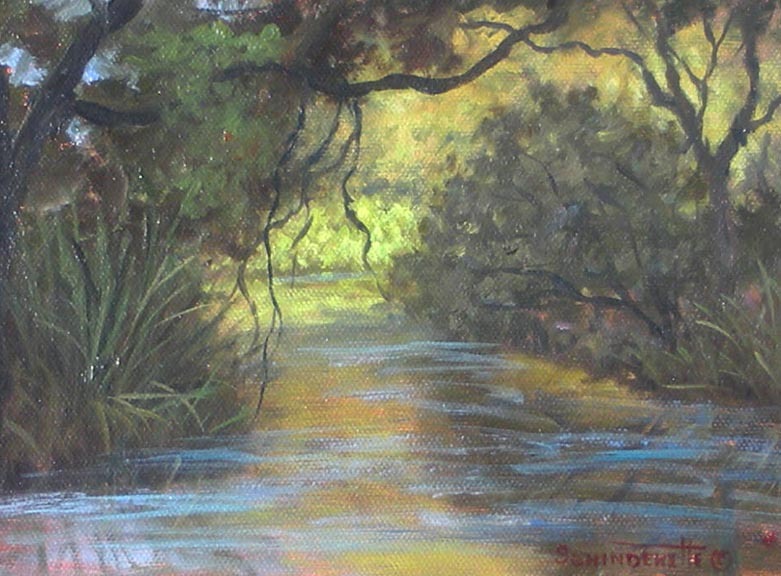 I painted it at the Wekiva Springs Plein Air Event in Apopka, Florida. This is a little tributary just off the main river. A quiet little spot that I found away from the hustle and bustle of boat ers and swimmers. The image to the right shows how the painting is extended around the edges. It is designed to be displayed on a table easel or hung on the wall unframed. Bids may be offered until 5 pm EST Monday, July 5. Just email me with your bid. I will let you know if you are the high bidder or are outbid.